Do we want new education & training opportunities that build on our railway heritage? Our community has a proud history of engineering & railway innovation, where at one time over 3,000 local people employed in the industry. The Council have said they will aim to enhance this railway history at York Central – but at present this ambition seems limited to preserving some of the railway buildings, before converting them for other uses. Could York Central give us an opportunity to bring this industry back to life in a more meaningful way? 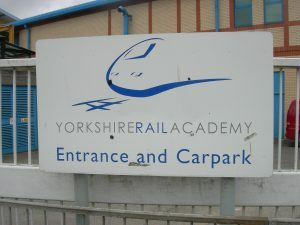 Could a new hi-tech education & training academy be built that puts York back on the map for railway innovation, and enables our young people to become the railway pioneers of the future?